When I was a young man, my soul was a river. It flowed freely and wildly, traveling wherever the land would allow. I was an emotional being and a dynamic one that was comfortable with where that emotion took me spiritually, relationally, and emotionally. Like any river, my soul started to find patterns where it could flow smoothly. An emotional personality started to form and some banks were created on my river that were comfortable and made me who I was. By the time I reached college, my ‘river soul’ was a pretty well defined waterway with a strong current and a defined path that led to an ocean of happiness. Like all young people, my river would flow out of its banks with happiness, love, and excitement from time to time and I’d lose control over it, but it would settle down. Like many rivers, I had dry points in my young adult life where my river seemed to all but dry up, leaving little or no water flowing to share with others or even keep myself nourished. By the time I graduated from college, however, I had become a strong, flowing river again; defined by clear banks and an occasional tributary that fed my soul (like a group of friends who taught me how to camp, hike, and mountain bike and fueled my passion for the outdoors), I set off into the adult world with the beginnings of an understanding of who I was and the power that was within me in the form of that river soul. As I look back on my early career, I mostly let the river within me flow. I wasn’t too concerned about how others interacted with the river, I just knew that when it was flowing people enjoyed my personality and when it dried up it wasn’t much fun to be around. I grew a lot as a person the first 5-6 years after college as my river soul flowed freely and I followed it wherever it wanted to go. I saw it spill out in generosity and kindness to others, it was refreshed with the energy of new love (another important tributary) when I met my wife and we were started our life together as a shared river. I wasn’t risky, per se, but not cautious either, just allowing my soul to grow and flow freely. I can’t clearly recall when I started to build the dam. At some point, I realized that I could harness the energy and power of my soul if I would build a dam and force the river to flow through it. It seemed like a great idea at the time – take all of the great things that flow out of you naturally and start to control them. Over time, as the dam was built, I began to feel like I was taking control of my river soul, using its power for the greater good of my family, my career, myself. 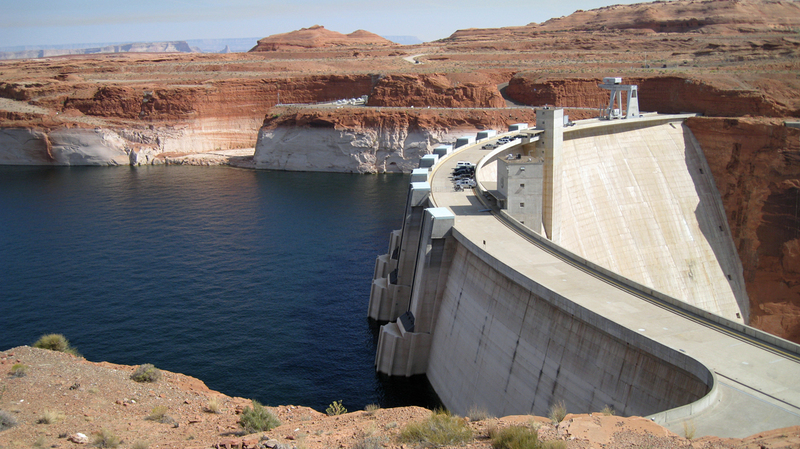 When the situation required it, I could open up the gates and let the river flow freely and powerfully over the dam – this created energy and was impressive to all who saw it at job interviews, company business meetings, vacations, or family get togethers. When people viewed the river with the gates all the way open, it looked like a thriving, healthy river. Then, at times, I could slow the flow to a trickle. The water levels would drop and the flow became more controlled. I didn’t realize it then, but when I forcefully closed those gates, it had a dramatic impact – my marriage and family were not nourished because there wasn’t enough water, my business relationships became stagnant due to the lack of moving water, and life became generally dull and dry. Too often, when I was trying to slow the flow of water it was in the midst of a season of drought that I didn’t even recognize. While I thought I was preserving my river in the dry time by slowing the flow to a trickle, what was really happening was that the river was drying up behind the dam. The water levels of my soul behind the dam I had created had become so low, the water was evaporating away, and the fact that there was ever a river there was almost imperceptible. And then I decided to blow up the dam. It takes a long time and a lot of effort to blow up a huge dam that has been holding back a rushing river for years. You can’t do it with a pick axe, it takes dynamite. It is loud, and it hurts. 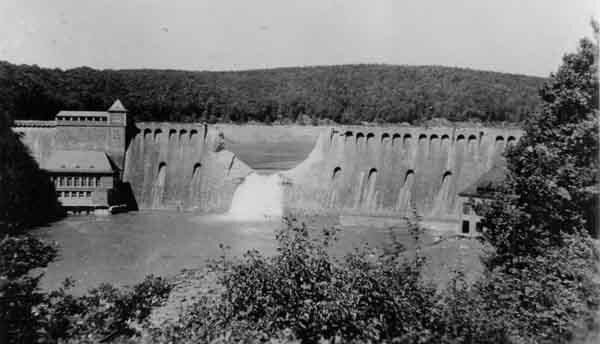 There is no quiet, discreet way to blow up a dam. The result of releasing the river soul to flow again has been amazing. True, there aren’t many of the ‘open the floodgates’ rushes of emotional water anymore that used to happen when I was in control; but my soul is once again flowing smoothly and uninhibited. It has returned to its original banks in most places and has forged new ones in other places. My river soul still goes up and down based on seasons of emotional and spiritual rain and drought. Every now and then a chunk of the old dam comes loose and barrels down the river, reminding me of the damage I did by trying to control my river soul. But now I don’t try to control it, instead I see my primary job as keeping it clean so it can flow freely and nourish others. When it gets clogged after a heavy rain with trees, debris, and rocks, I’ve got to get those out of the way. When the levels are low because of drought, I’ve got to dredge the bottom to maintain the river’s flow. I don’t have to control it anymore, just make sure that it is genuine, free, and clear of anything that might slow it down. The water of my river soul takes care of the rest.